The Yorktown High School graduate who will become the youngest woman ever elected to Congress next month drew the honor of being featured in a skit on Saturday Night Live. "Look at me. I'm different," Alexandria Ocasio-Cortez' lookalike says in the SNL skit at the end of this video clip. She appears on a set depicting Morning Joe Scarborough and his new wife, Mika Brzezinski. The newlywed couple was featured here in Daily Voice about their recent wedding. Brzezinski, 51, of Bronxville and Joe Scarborough, 55, of New Canaan made it official on Saturday, Nov. 24 during a ceremony revealed just minutes before it began. They are co-hosts of MSNBC’s "Morning Joe" news/politics show. 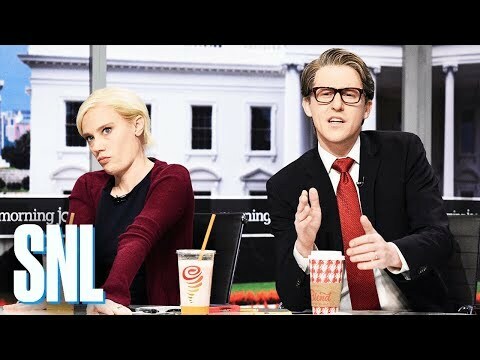 SNL's Alex Moffat and Kate McKinnon played Scarborough and Brzezinski during Saturday's parody. U.S. Rep. Elijah Cummings, played by Kenan Thompson, made an appearance to talk about presiding over the hush-hush nuptials. For more humor tied to the 29-year-old Bronx congresswoman-elect and her Instagram followers, check out this article about her poll on whether to eat -- or toss -- leftovers from her refrigerator.